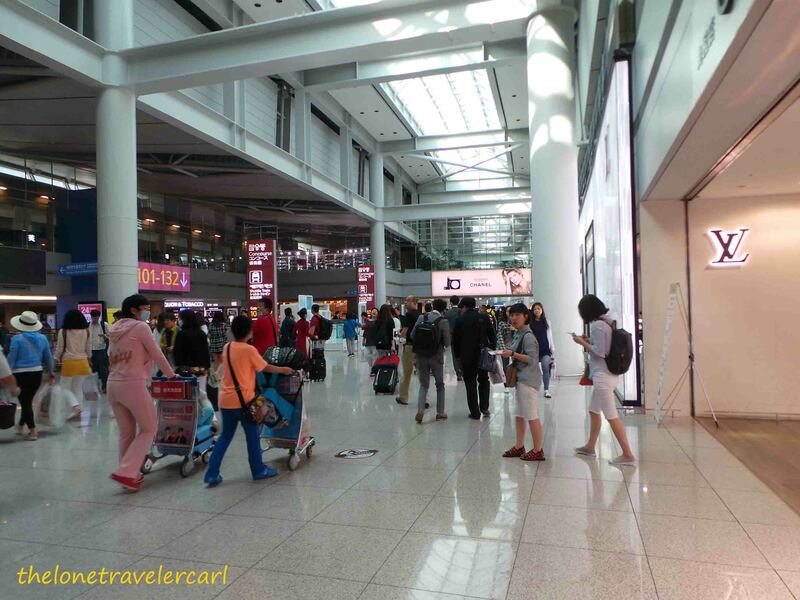 ICN or famously known as Incheon International Airport is in South Korea or Republic of Korea. 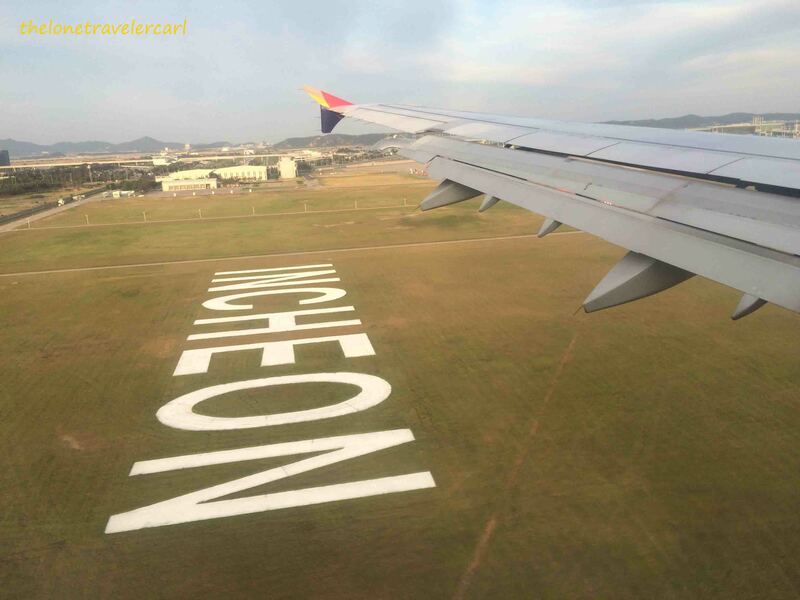 I got the chance to land at Incheon International Airport. 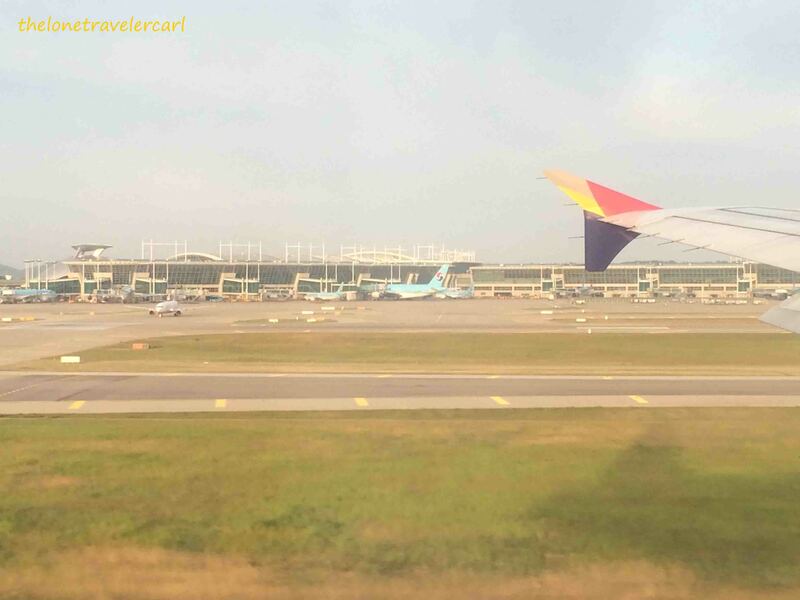 Incheon International Airport has an IATA code of ICN. 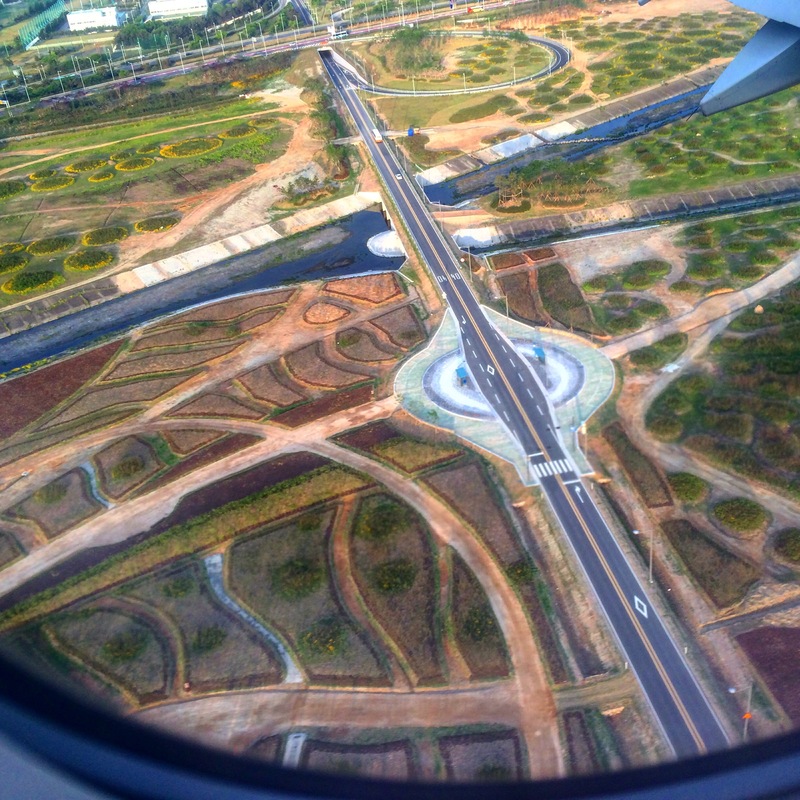 It is located in the island of Incheon close enough to get to Seoul which is the capital of the country of South Korea. 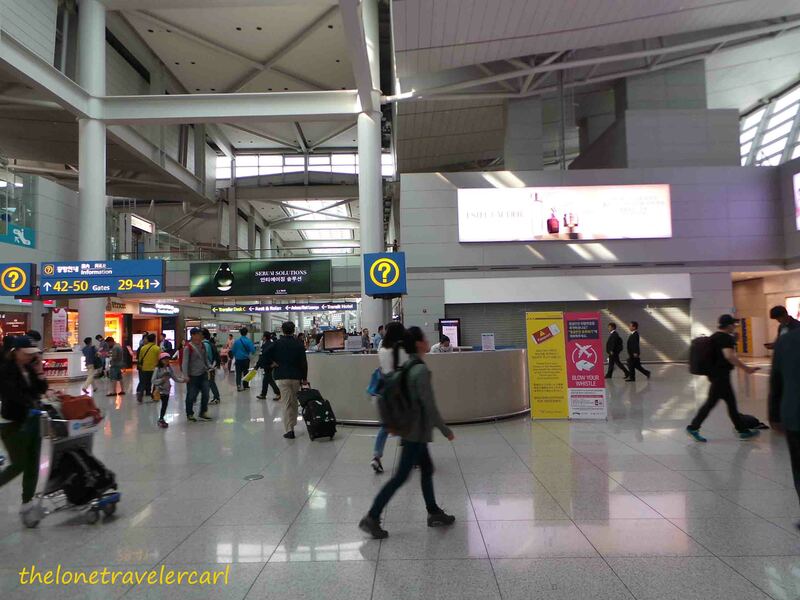 As I was having my layover in ICN, I got the opportunity to experience the K-vibe or Korean vibe. Since Korean culture has been widely known in Asia due to its great and amazing K-dramas, culture, pop music, fashion styles, and handsome and beautiful artists. 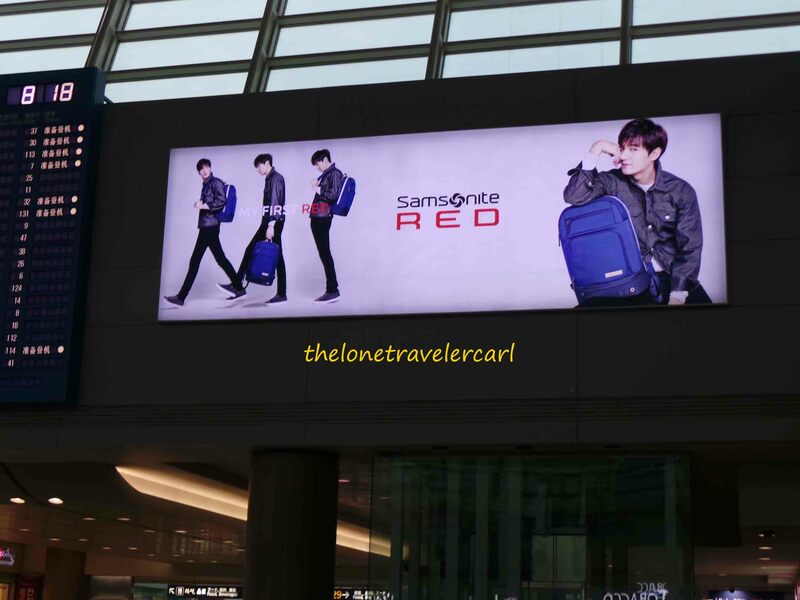 It was obviously shown everywhere in the airport with pictures of famous artists such as Lee Min Ho and the boy group, EXO. 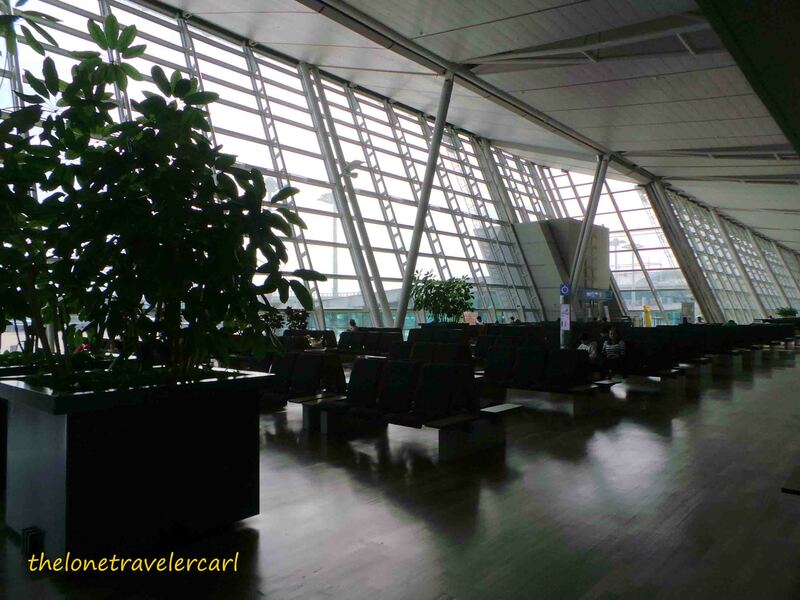 The airport was huge with lots of gate terminals but it was also jam-packed. There were travelers here and there. 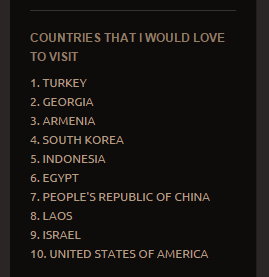 It might be due to the fact that most Koreans love to travel. 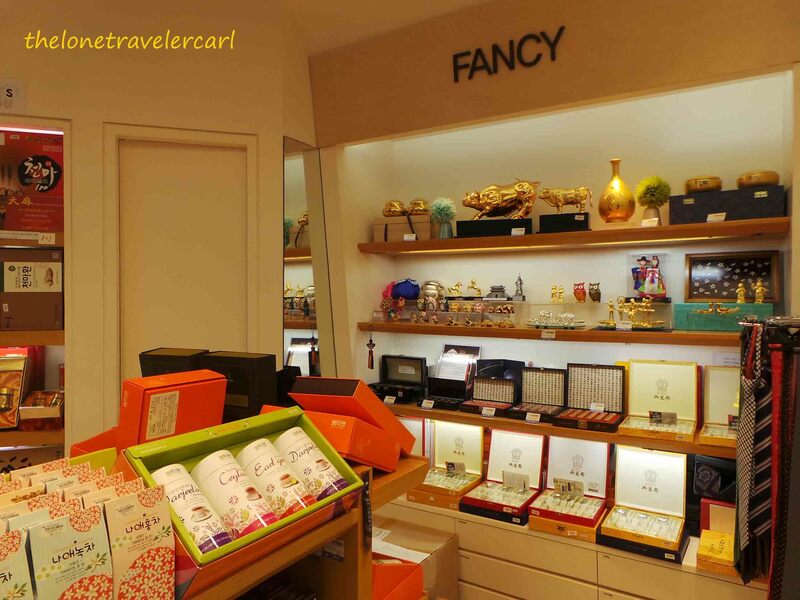 In the airport, there were also more stores you can see. 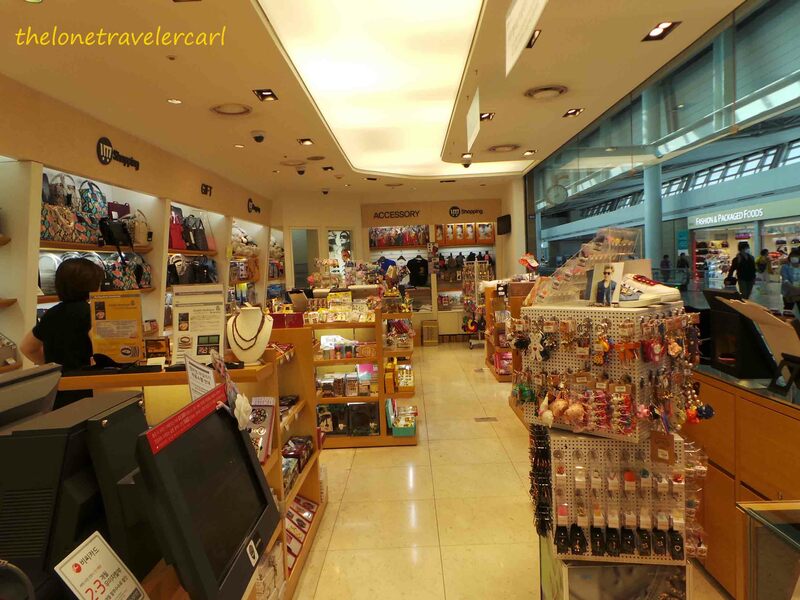 Stores that sell from souvenirs to food were present in every area of ICN. Hence, I took the liberty to try one of their restaurants. 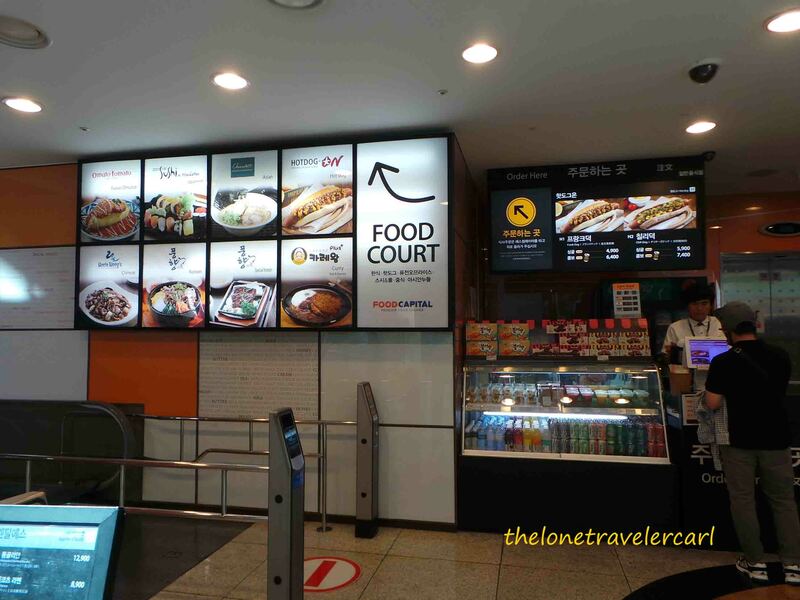 I went to dine at Food Court and ordered the Traditional Bibimbap for USD5. It looked pretty to me. The same thing I saw on how it was made and served in Korean movies. But, it made me confuse on how to eat it. I should have tried to order the famous Omurice which was introduced by the Korean drama, Rooftop Prince, yet I insisted on trying the traditional dish of Korea. As I tasted the food, it was a little bit weird since I don’t know how to eat it. I just mixed everything what is in the big bowl and added some sweet meat and it tasted OK. I went back to the terminal gate while waiting for boarding announcement. 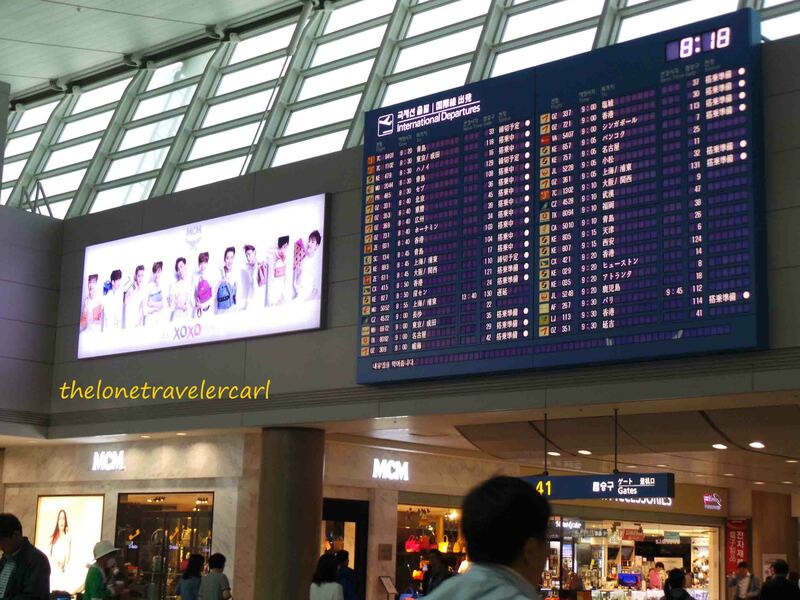 I got to see the big screen of the airport’s arrivals and departures. 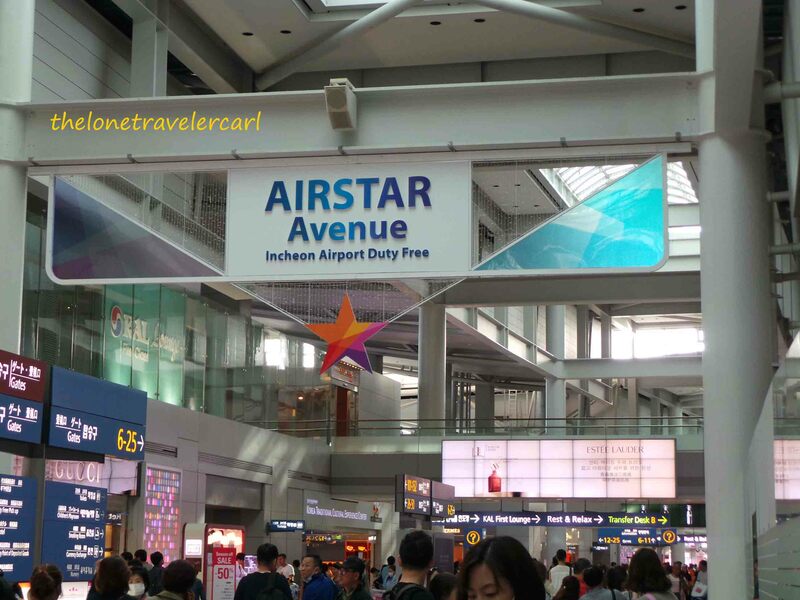 ICN serves every major airport in the world from Asia to Europe to North America to Australia. They also cater domestic flights but a passenger needs to ride the train to domestic terminal gates. 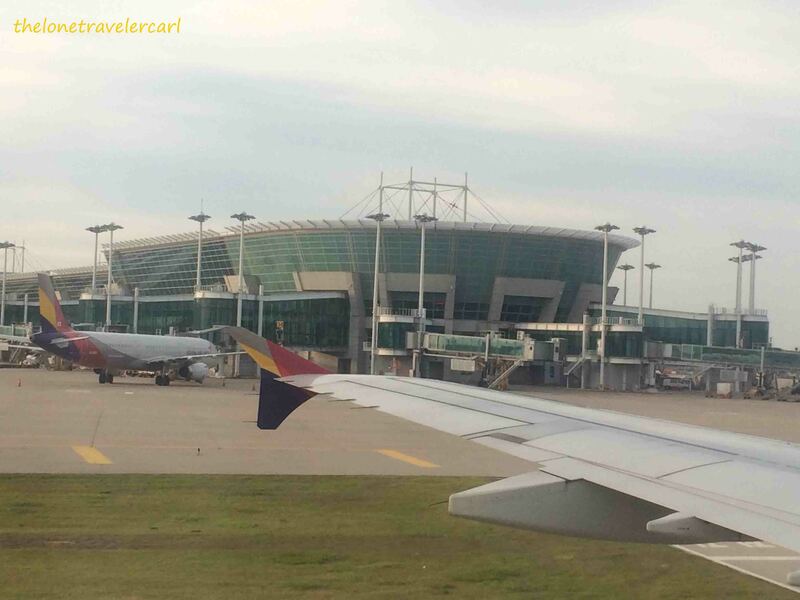 If you happened to have a long wait for your layover, you can have yourself do the tour. 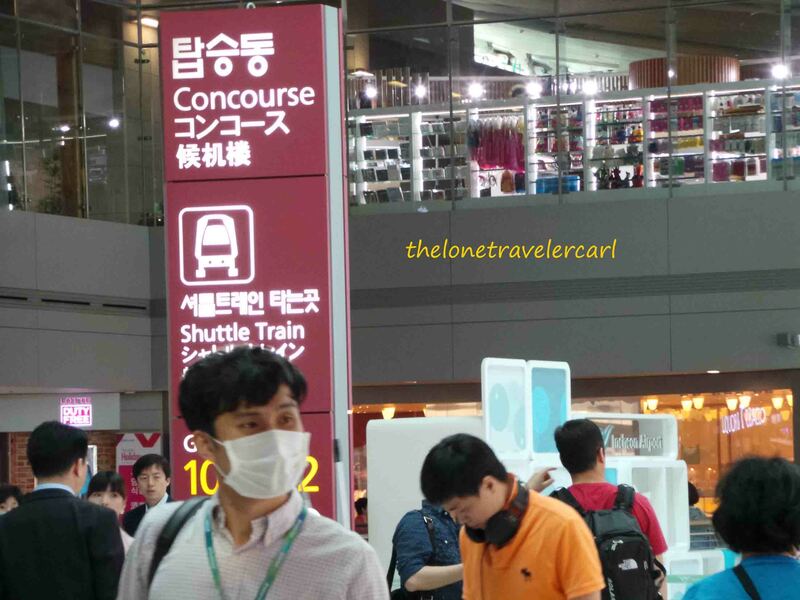 There were booths located just near the transit signs when you get off from the plane and also near money changer counter. They gave you pamphlets of tourist attractions. 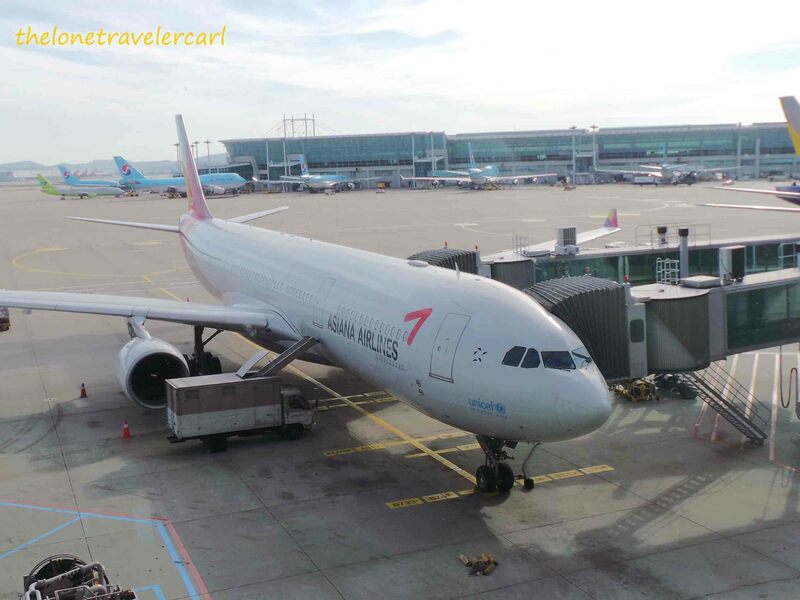 I don’t know what are the rules and requirements to take advantage of the tour but it sure looks nice to have seen Korea during your long layovers rather than waiting at boarding gates. 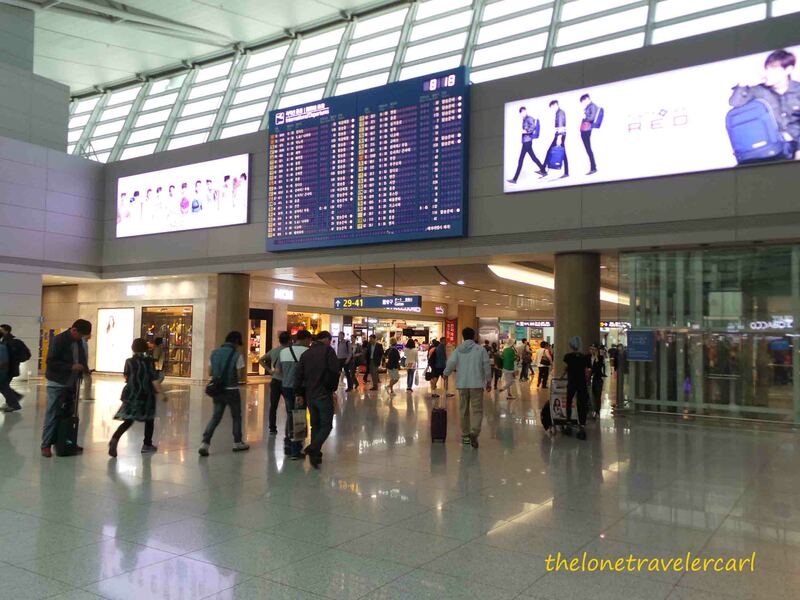 As a summary, there were a lot of things going on in ICN. 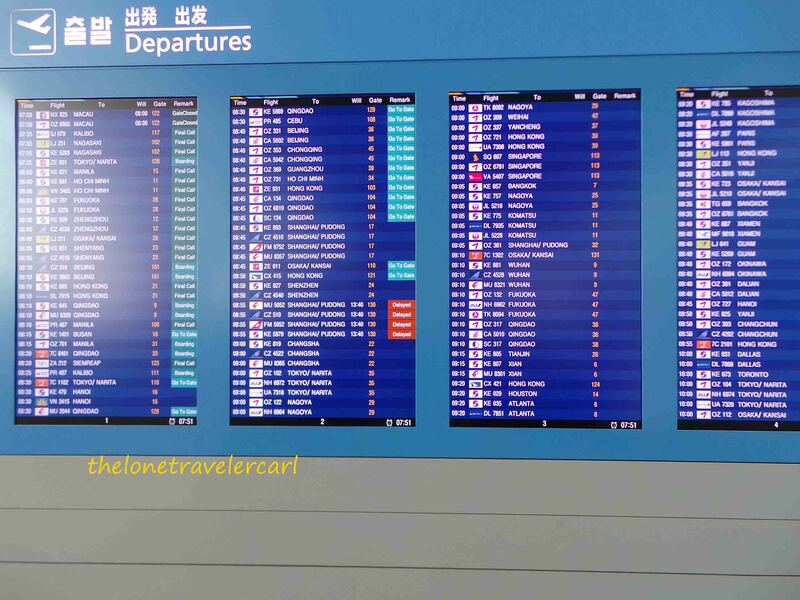 Yet those were all for the good image of the airport. I never saw dirt or litters on the floor of the airport and it was really nice. 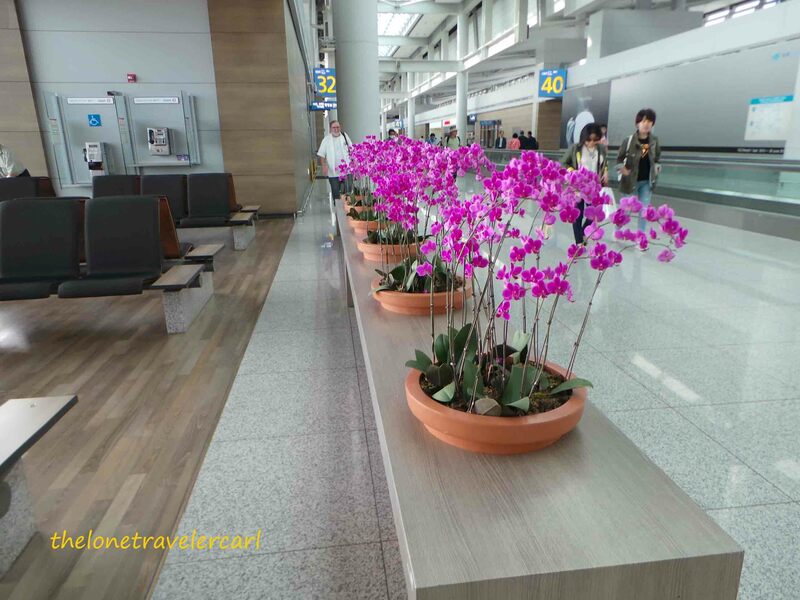 They even have charging stations for mobile devices at boarding gates making it a friendly airport for travelers.